Swoon Style and Home: Happy Weekend! Yay! Friday! The weekend is here! 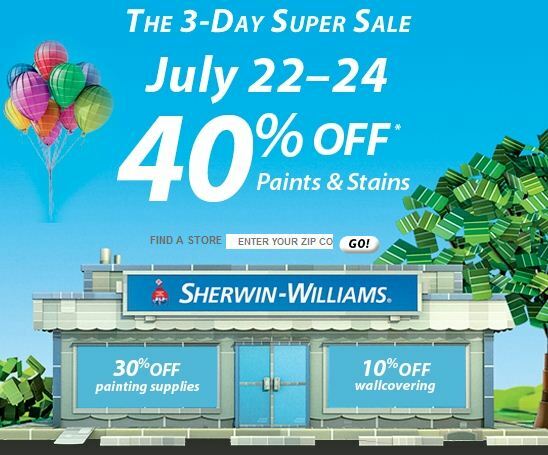 You can bet I will stop at Sherwin Williams and pick up a gallon of paint for the kids' bathroom. That room is on my list to paint (and my landlord agreed to let me paint it). Oh ... my heart skips a beat at the idea of painting! Other than that, I want to take advantage of the gorgeous, cooler weather and be outside a lot. I also plan to make upholstered headboards for the kids' rooms and decorate their rooms as well. I promise I'll also get up a big home tour, so you can see the new digs. I should be busy busy busy. note: Sherwin Williams has not paid or otherwise comped us for the post today -- we just love their paints and wanted to share the good exciting news about the big sale!